Exciting plans are in progress for LOCA’s biggest fundraising celebration to date. The public is invited to enjoy amazing food and wines, interactive art activities, art auctions and fun. LOCA will honor its founders – and look forward to a bright future together. Watch for details and registration information in our February eBulletin. Marking its 25th year of service, LOCA formed an Emeritus Board to afford previous Board members the opportunity to remain active in the organization. The newly formed board has announced their first special project as the LOCA Merit Grant. 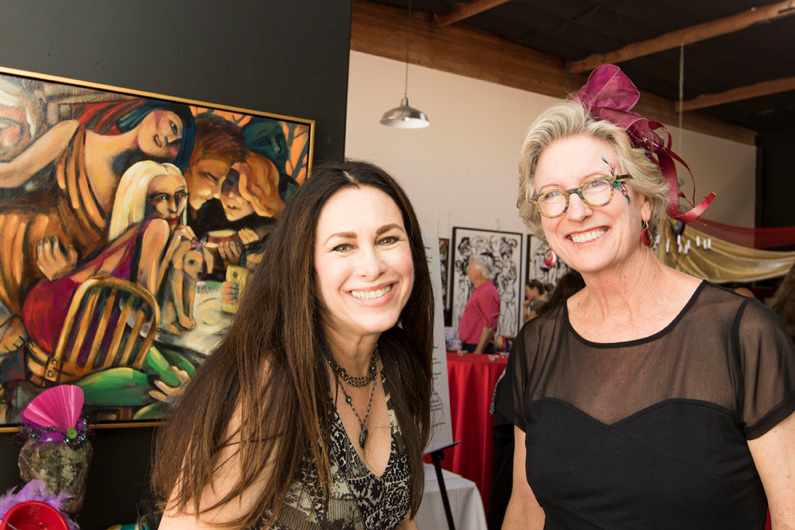 The purpose of this program is to make a “no strings attached” grant to one artist every year who lives, works or shows their art in Laguna Beach. This $1000 grant will be funded by Golden Oaks, Inc., a longtime LOCA supporter. The recipient artist for 2018 has been selected, and will be announced at the LOCA Anniversary Celebration.